How to construct a potato bed from wooden pallets. Almost three years ago I wrote a product review for the emergency rations that I found at a local Wal-Mart. They're produced by Ultimate Survival Technology (UST) and are still available through many stores, but recently I found another line of “survival” items that they produce and decided to test a few of them. There are 36 different designs in this product line. I saw about 10 of them in a clearance aisle at a local home supply store and picked up four whose looks I liked. Once I got home and looked them up, I wished the store would've had a few of the other designs, but I found a few that I liked. Designed to be hung by the included carabiner (very flimsy) from a pack or bag, the somewhat whimsical designs are decorative and some of the tools are actually usable. None of the designs have a blade of any kind so they are all TSA-safe to travel with. Here are the ones I picked up (pictures are from the maker's page). Similar to the sporks that I reviewed here, the function is fairly simple: a stainless steel tool that will let your eat without using your fingers. 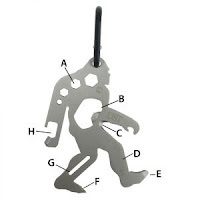 This one has a functional bottle opener (B) and flat screwdriver (A) built in to the design, as well as a questionable can opener(D). The can opener works, but the design only allows a 1/8th inch cut per cycle, so it's going to take a while to get a can open. 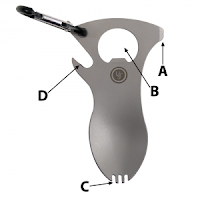 The tool only weighs an once (30g) and is functional, so it may have a place in your kit. 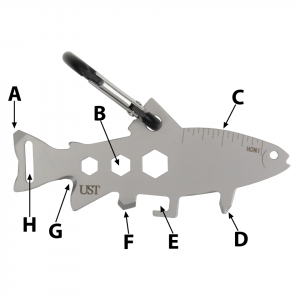 A stamped-steel fish with 8 functions, 5 of which are useful or usable. The screwdrivers (D, F) and hex wrenches (B) work, the prying point (A) is strong enough to open a paint can, and the ruler (C) is accurate. 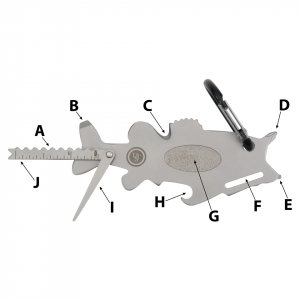 However, the butterfly wrench (H) is designed for use with wing-nuts and is too small for most of the common sizes, the can opener (E) is completely useless due to the rear dorsal fin of the fish shape blocking the cutter from being able to actually penetrate the lid of a can, and the cord cutter (G) isn't sharp enough to cut anything I tried it on. I liked the look of this one and most of it actually works. Of the 8 tools in the design, 5 of them are usable. The flat screwdriver (E), ruler (D), hex wrenches (A), bottle opener (C), and can opener (H) all work quite well. The can opener actually surprised me at how well it worked, opening a steel can of fruit quite easily. The Phillips screwdriver (F) suffers from the same problem as the can opener on the trout design with another piece of the tool blocks its use (the other foot of the Sasquatch in this case). The butterfly wrench (G) is again too small for use, and the cord cutter (C) is dull. With 10 tools on this one, it's the most ambitious of the batch I bought. Two flat screwdrivers (B, E), a Phillips screwdriver (D), a bottle opener (H), and a ruler (J) are the most useful of the choices. The fish scaler (A) is quite small and I'd rather use a camp knife to remove scales before cooking a fish. 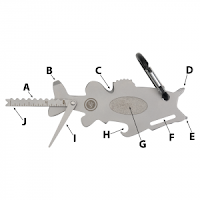 The cord cutter (C) is dull and the butterfly wrench (F) is too narrow for use. I'm undecided on the pick (I) and fish hook sharpener (G), as I haven't had a good chance to test them yet. There's also a hidden tool that the maker doesn't point out: the end of the ruler/scaler has a notch in it which could be used as a hook remover quite easily. The trick to removing a hook after a fish has swallowed it to the point where you can't reach it is to wrap the line once around a hook remover and gently push on the remover, following the line to the hook. Once you have found the hook, twist the remover until it sits in the bend of the hook, push in just enough to dislodge the barbs of the hook and gently pull out the hook and remover at the same time. I don't understand the addition of butterfly/wing-nut wrenches on so many of the stamped-steel multi-tools on the market. 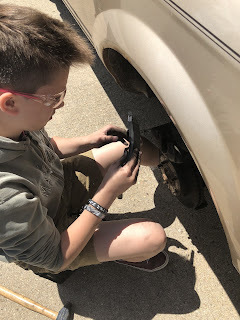 I don't see wing-nuts in use very often, so I don't see the need for a wrench for them. The cord cutters could probably be sharpened with a round ceramic rod or a piece of emery paper wrapped around a small rod, making them useful. The functions blocked by the design of the tools is just poor planning on the part of the designers. Normally I include links to Amazon for each of the items I review, because we get a few pennies when you purchase anything using our referral links and Amazon usually has fair prices. Their prices are close to MSRP, but Amazon only has a half-dozen of the designs listed, so I skipped the links. The maker has a list of“where to buy” on their webpage. Keep an eye out for them; they seem to be made of good steel and most of the functions actually work. I am financially unable to transition to foods that have a very long shelf life, so normal grocery items are what are on my shelf and in my "Buckets of Holding" emergency gear. 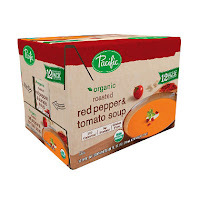 I've mentioned in many posts that the products in my pantry get rotated out before the Sell By date (even if we all know that does not affect quality) and I give them to my Food Bank, which is need of donations right now. This is a one-for-one swap of the listed items. The next scheduled time for checking the other things in my stores is October/November. Soup in a box, in a box! You need to try this soup. It tastes wonderful, it comes in a really handy size, and it's easy to pack. This soup is almost worth the Sam's Club membership by itself, it's that good. I'm on a budget, so if I can find a good value at a trendy place, I take advantage of it. Pasta is pretty much pasta, and Joe's has as low a price as anyone else here. It's a 1 lb package of macaroni, so what else is there to say? 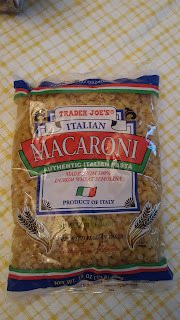 Here's what I've always wondered: How can this be sold for a buck after being manufactured and then shipped from Italy? What's the difference between this and similar brands selling for twice the price? Maybe someone can explain it to me. There are several different sauces on the shelves there but this is my current favorite. 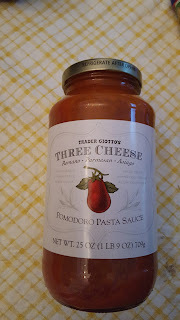 Once again, this is priced within pennies of the national brands found in Sams's Club or Costco, and I can buy a jar at a time instead of a three pack. One jar over one pound of pasta works for me. No one in my current group has any food sensitivities, so wheat, nuts and dairy are not an issue. I eat oatmeal for breakfast at least twice a week, just not the instant variety. I take this in my lunch box for the mornings I get hungry at my coffee break and a doughnut doesn't sound good. 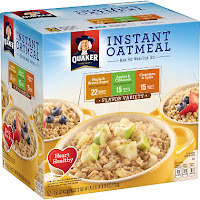 I know, the added sugar in the flavored varieties makes this nutritionally similar to a donut, but I like to think the oats balance things out! Everything is dated at least one year out, with the pasta listed as good until 2021! Nothing will stay in the buckets that long, since I pull from them fairly regularly to save myself a trip to the store. Doing this means I've got to stay on top of the inventory -- which is simple, since I'm doing the pulling so I know which bucket is now short. There's also a paper inside each bucket listing what is in each one. This is not a problem now as the member of the group with dietary restrictions moved and I don't need to worry as much about stomach issues. Later this year I plan to start moving to some freeze-dried meals and doing some more product taste tests. I have to buy what I need for the money available each month. Sometimes that is not much, and other times a little more. Check your shopping lists for the month. Having a membership to Costco could potentially save you cash if you are buying the same items every trip to the store. Around January, my husband and I found out that we could finally buy our first home next year. I immediately went into "Where can we save money so that we can pay off everything possible between now and then?" mode. One of those areas was laundry. We were spending upwards of $40 a month going to a laundromat. $40 plus the amount of time taken away from my husband's job because we only have one vehicle plus the extra miles on the vehicle equals me deciding I was going to do laundry the old-fashioned way (by hand) but with a modern twist. Enter this doodad. It was an initial investment of $8 (I got it on sale) and the amount added to the water bill by doing laundry in the tub at home was $12. That's half of what we were spending per month at the laundromat, which means the Washing Wand has already paid for itself in the first month of use. I don't have to worry about someone forgetting there's one for the toilet and one specifically for laundry only. It's designed to agitate water, not un-plug a toilet, so it agitates better than a plunger. Let your laundry soak in the soapy water for five to ten minutes. Dump that water and replenish it with fresh, then agitate it for 40 motions (think 'churning butter') or two minutes, whichever is longer. You may have to rinse twice, depending on how dirty the stuff was. Can it handle sheets and blankets? It can, if you have a large tub to let them soak in. You might have to work harder to get them clean, though. 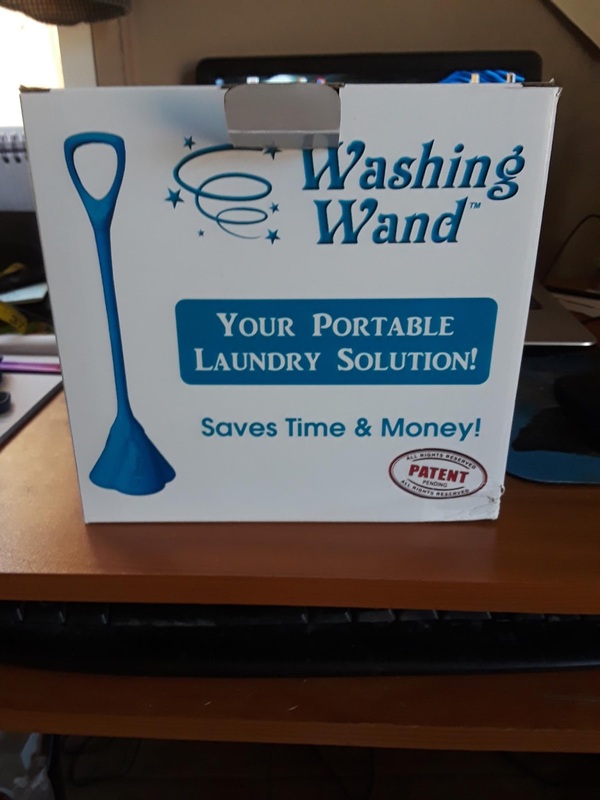 Has it proven to get the clothes clean? Would I trust it with the crocheted stuff I do for Jade Rose? I haven't tried that yet, and am a little apprehensive about it. Do you blame me? It's exhausting to use if you're out of shape. It's a bit hard on your hands if you're not used to gripping something for long periods of time. The cup could use a couple more holes added to it to aid in the agitation of the water. I don’t know about you, but when I find myself opening a bug-out or get-home bag, I have a small problem. In fact, I have a lot of small problems: all the pieces that float to the bottom of the bag and are impossible to find quickly. Do you take allergy pills? Good luck finding that tiny bottle in less than five minutes, and if you (like me) are already itchy and miserable when you are looking for them, five minutes is a miserable thing. My solution to this dilemma is a document bag. 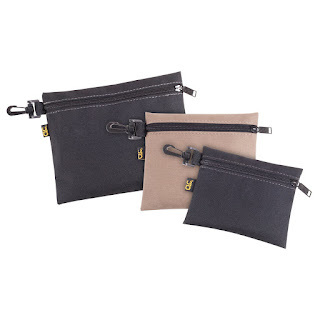 These bag are designed to hold receipts, passports, boarding passes, etc and are small, inexpensive, fairly durable, and easily labeled.Their modular nature allows you to identify, locate and retrieve them quickly and easily; a snake bite is something that you'll need to treat in a hurry and is a very different emergency than a burn. 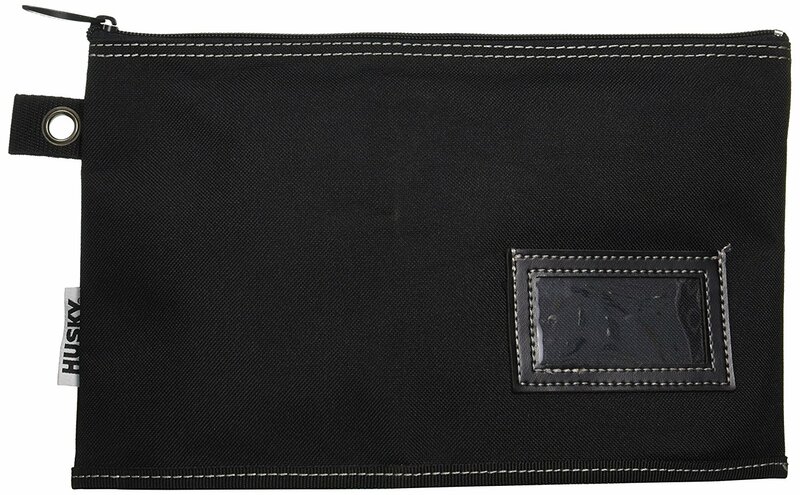 For quick identification, I use a small description tag with the contents written on the back, or a title written on it with a paint pen, depending on the bag. Example: “Medical” on the front in a large easy to read font, with “Inhaler, Epipen, painkiller (Advil), painkiller (Tylenol), Allergy medication (Zyrtec), Allergy medication (Allegra), bandaids, tiger balm, finger pulse oximeter. I also have bags with my oral hygiene supplies, my computer cables, extra batteries etc. This gives me a full packing list of everything that I am supposed to have in it, which makes it easy to tell if I am missing something. This is the exact model that I use, a Husky-brand 12-inch bag. I like this style because I can connect a carabiner to the tab and clip it to my backpack, MOLLE webbing, hooks, and occasionally even a random twig. I recommend a cheap model, like these. I've been using these document bags as sorters for over a year now and have yet to have one of them fail or rip, and I've even run them through the washing machine. I do not recommend the dryer for them, though, since the model I use is actually a plastic-based canvas and I had worries about it melting. I haven't put one through the dishwasher yet, although I will try to correct this. If you are budget minded, you can get three bags of varying sizes for half the price of the Husky. I highly recommend these bags. It saves me a lot of time and hassle to use them, and I can transport them between bags. My BoB is wonderful, but sometimes I need only one component from it, and these bags give me the freedom to take what I need and leave the rest behind. Keep your powder dry, and don’t forget to practice. I'm growing potatoes the easy way. One of my friends recently asked for examples of why you might be separated from your wardrobe (and hence, why you should keep extra clothes in your car or Bug Out Bag). Fires, tornadoes, floods, and other disasters were all mentioned, but I was reminded of recent news articles and an old post of mine. Humans have been using explosives in war for a long time. Not all of those weapons went “boom” when they should have. Live explosives are scattered all over the world. In April 2018, a large bomb left over from WW2 was found in Bologna, Italy. Also in April 2018, a Civil War artillery shell was found near Myrtle Beach, SC when a family was building a patio next to their house. The same month, a 500 kg (1100 pound) American bomb from WW2 was found in central Berlin, Germany. The UXO found in Bologna caused the evacuation of about 10,000 people for most of a day while the disposal team removed it. The much smaller shell found near Myrtle Beach was removed without much inconvenience. But the bomb found in Berlin caused the evacuation of over 10,000 people from an area within 800 meters (half a mile) of the site, including the main train station. That meant no traffic in a circle a mile wide in a major metropolitan city. Some other things came to mind while I was thinking about this topic. Since WW1 and WW2 were so widespread, a lot of the fighting took place in, on, and over the oceans. This means that any beach on any ocean has a chance of UXO washing ashore, especially after a storm has stirred up the ocean floor and moved the sand around on the beach. Southeast Asia saw a lot of fighting in the last century, with an estimated fewer than 3% of the UXO being cleaned up in Vietnam, Laos, and Cambodia. Many tropical islands saw action during WW2, including the smaller ones if they were strategically placed. Hawaii is still cleaning up training ranges 70+ years after the end of WW2. These are all tourist areas with blissfully ignorant people trying to enjoy themselves while on vacation. What are you going to do if the local police have cordoned off your hotel or campground for a day or two while they deal with the leftovers of war? 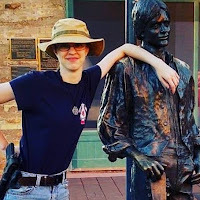 I pray that, since you're reading a prepper blog, you'll have the resilience of mind to take it in stride and switch to an alternate plan while watching the unprepared fumble about trying to deal with the unexpected. Gather as much information as you can (how long is it going to take, where are the boundaries of the exclusion zone, etc.) and find somewhere else to be while the bomb squad is dealing with something your grandpa (or great-grandpa) dropped 50-150 years ago. If you are traveling for vacation, don't forget your preps or situational awareness. We can't afford to completely turn off our minds, even when we're trying to relax. It's finally warming up here and Summer is officially close, so I started swapping out the last of my cooler weather gear. What could possibly go wrong? I spent last weekend in Reno for a graduation celebration. It was wonderful! I met some people that are now relatives by marriage, spent time with my son, and was caught a little short in my preps due to the weather. It wasn't really a bad error; I was just a little uncomfortable when the temperature dropped into the low 40's and high 30's at night. I had checked the forecast for the weekend and things seemed to be fairly mild, considering I was coming from ~50 ft altitude to ~4,500 ft in Reno. What caused the problem? A not-so-unusual summer storm rolled in, and coupled with some strong winds and a little rain it made the evenings not fun. I had packed my normal GHB, a change of clothes for the event, and a windbreaker, but a light jacket or sweater and rain gear would have been useful. In my defense I tend to be a pack rat, so I was trying to keep the amount of gear I carried to a minimum. There are neck wraps I have purchased in the past that were some sort of water-absorbing crystals inside a tube that kept you cool, but those were only sized and shaped to fit your neck. These are large enough to soak in water and wrap around your head AND neck! 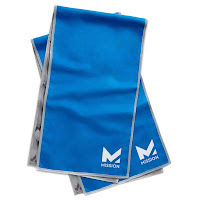 Keep cool and feel refreshed in any condition with the original, durable Mission HydroActive Microfiber Cooling Towel. Ideal for any outdoor activity on a hot day so that you can stay cool when things heat up. Just wet, wring and snap the chemical-free towel, and the proprietary technology in our woven fabric cools to 30° below your average body temperature. The towel stays cool for hours when wet and is soft and absorbent when dry. From the toughest conditions to everyday use; the performance enhancing cooling towel helps you keep cool during training, working or exercising. The soft machine washable fabric provides you with years of reliable use. 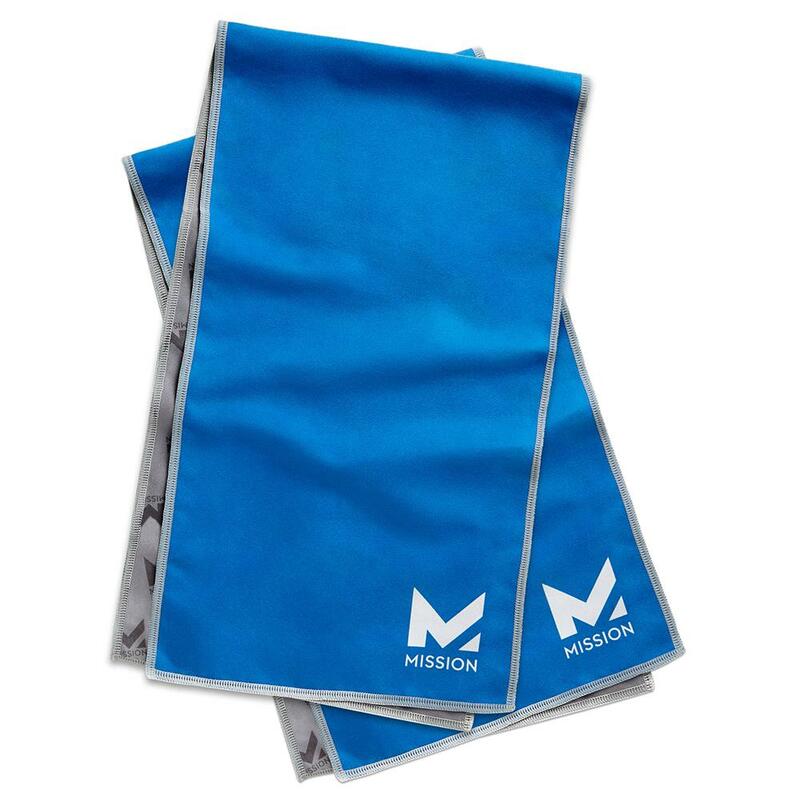 The Mission HydroActive Microfiber Cooling Towel is a simple solution to keep you cool and feeling comfortable in the heat, and on the go. Despite these not getting a workout in Reno, I will be using them on an up-coming fishing trip to one of several local reservoirs. Personal admission time: I have some terrible teeth. I have a ridiculous number of fillings, a crown on one of my front teeth, and I am pretty sure that I have bought at least one BMW between the dentists that I have gone to. Because of this, I am a big fan of good oral hygiene. 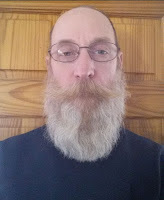 If and when SHTF, being able to maintain oral hygiene is a big deal. If you expect to be in a situation with limited water, or if every gram of weight counts, Peelu may be what you are looking for. 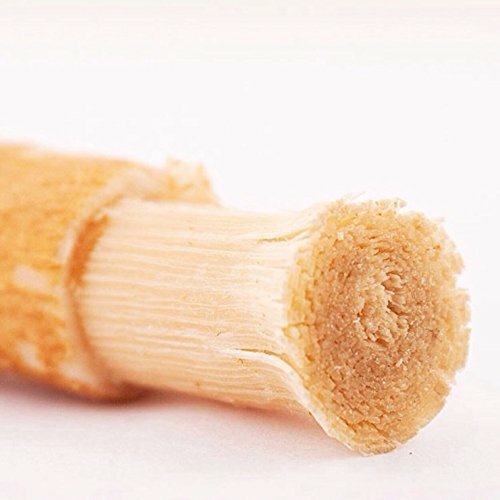 Peelu (also called Miswak and Selak, among other names) is a twig from the Salvadora persica (a type of tree) native to Africa and the Middle East. It has been used for oral hygiene for centuries (or millennia, according to some claims) and it appears to actually have an effect comparable to toothpaste on oral hygiene. The World Health Organization released an endorsement of it in 1986. There is still a debate about if it is better than toothpaste, and I have been unable to find a definitive study about that. The advantage to Peelu is that all you need is a knife (or scissors, or a sharp rock) to trim the bark off an end of it. To use it, just chew on it for a couple of minutes -- it has a strong antimicrobial effect, and seems to work well -- and put it back in its container. 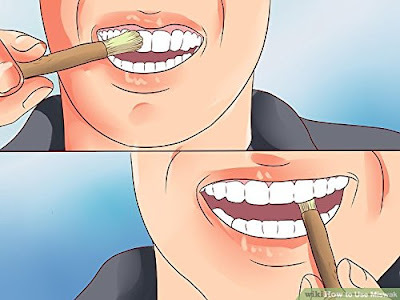 There is no need to rinse your mouth, and the fibers on the end are non-toxic, so if you swallow them (which isn't recommended) it just acts as fiber in your digestive tract and passes through. Disadvantages to Peelu are its flavor and texture, which are akin to the taste of a raw white potato and clove with the texture of a soft tree branch. I totally understand if this is off-putting; if I used this as an alternative for brushing my teeth, I would purchase the flavored ones (I prefer the mint ones). Another disadvantage of Peelu is cost. A toothbrush is supposed to last three to four months, and costs about two dollars (or less); toothpaste costs about seven dollars for over a year's supply on Amazon, so total cost per month is usually just under a dollar. Peelu cost about a dollar a stick, and you have to replace them about once a month, so that's $12 or more a year. To store Peelu in your bug out bag, all you have to do is throw it in a pocket; they tend to be fairly flexible and crush resistant. If it dries out (which I have only had happen when I tried it deliberately), it gets hard to use, so soak it in your water bottle for a few minutes, and it should work just fine afterwards. I keep mine in a ziplock bag to prevent it from drying out, but you can also purchase a specialized case for one for about five dollars. I strongly recommend Peelu for anyone who is looking to space of weight, so in that regard I give it five stars. So, in conclusion: if weight and space are issues and you aren't concerned about flavor or texture, Peelu may be a good option for you. Good luck, and don’t forget to practice (or brush your teeth). My Favorite Everyday Pocket Tools! 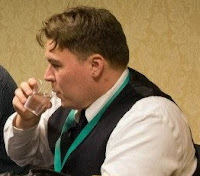 I'm looking at switching jobs soon, and since there aren't many local jobs that pay more than I'm making now I'll probably end up having to commute to the city again. The idea of driving an hour each way five days a week is displeasing, but I'm burning out physically and mentally where I am now, so it's time for a change. The change from work being 10 miles away to work being 45 miles away means I will have to make some changes to my vehicle and what I carry in it. I currently drive a Ford pickup to and from work. It's handy for when I need to haul or tow something and the shop pickups are gone, but it only gets about 15 MPG. It's also coming up on being 20 years old and is starting to require too much maintenance too often to be considered reliable transportation. If I were to keep using my truck, the additional 70 miles per day would cost (using the current gas price of ~$3.00/gallon) $14.00 more every day. That's equivalent to losing $1.75/hr over an eight hour day, which means that I'd need to make that much more just to break even. The added wear and tear is harder to estimate, but the IRS uses $0.545/mile as a reference for gas and maintenance expense, which works out to a bit over $38/day (about $750/month) in extra cost. That's a monthly payment on a nice car with full coverage insurance. One option is to find a vehicle that gets better mileage and has fewer maintenance needs, so I'm looking at used cars. There are plenty of small cars out there that get ~30MPG, which would drop the loss down to about $7.00/day or $0.875 per hour. That's a reasonable raise in wages to expect when looking for a new job, and the lack of maintenance bills will cover any car payments or increases in insurance costs. I'm currently scanning the local car markets, trying to find something that will carry what I need (GHB and such) and that I can comfortably drive -- I'm over 6' tall, so a lot of the really small cars don't have the leg room or head room for me to drive. I'll be traveling mostly Interstate highways instead of two-lane county roads, so my GHB is going to have to be modified. Longer distance means I'm going to have to pack more food (water is covered by the same Sawyer filter as my current GHB). I could walk home from my current job in a couple of hours, but trying to walk from the city would be closer to a day or two due to terrain and distance. That means I'll need to add some sort of shelter and sleeping gear to the GHB, and probably a few more toiletries. Extra socks and maybe a change of boots are going on the list as well. My vehicle first-aid kit is currently under reconstruction. The bag is over 20 years old and is starting to wear out, and I dumped a lot of the contents due to age a while back. I need to get it restocked and find a new bag that will fit in a small space, but that hasn't been high on my priority list. I have a smaller kit that I moved from another vehicle in the truck at the moment, but it is limited in its contents. With the possibility of a longer commute on a busy highway, I'm expecting to see more traffic and more accidents, so the first-aid kit has been bumped up a few notches on the list of things to get done. I normally carry a full 5 gallon gas can in the back of my pickup. It's there for helping stranded motorists and making sure I have enough gas to get home (an extra 75 miles in the truck) in extreme situations. That won't be an option in a car, so I'm going to have to figure out a back-up plan for fuel. The requires more research and is something else to consider when looking at cars. Tools are going to be an issue. I carry a lot of tools in my truck because I've had to work on it on the side of the road a few times. I'm praying that a newer car won't have as many mechanical issues and won't require as many tools, but I'll still have to find a spot for the minimal tool bag that I will always carry in a vehicle. Being a prepper impacts all aspects of your life. Something as simple as switching jobs brings up a chain of things that have to be taken into consideration. This added complication can cause some people to avoid change, but I prefer to see it as a way to challenge my creativity and resourcefulness. I'll keep a list of what I have to change if I do end up finding a new job, and will explain those changes in a future article. or yourself to a safety rail. 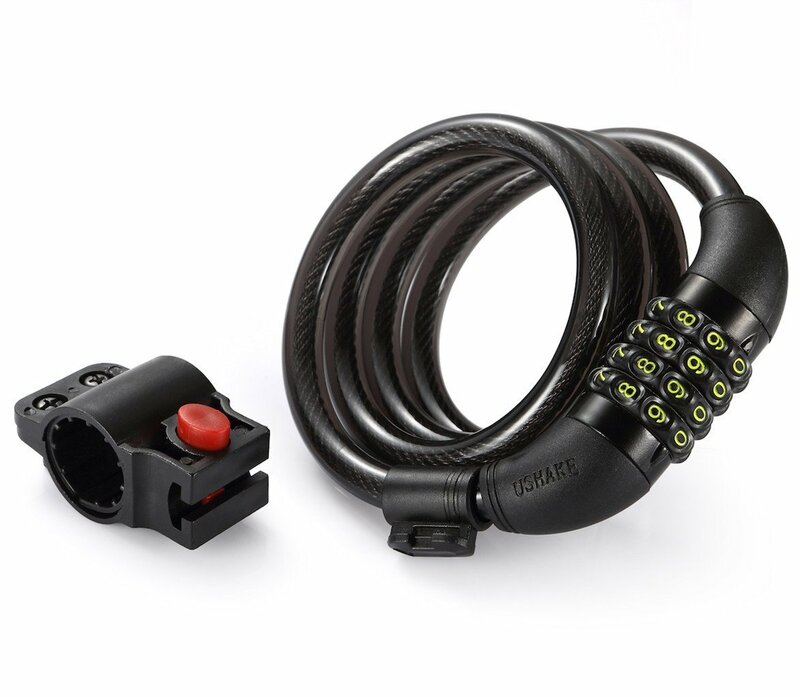 Cable locks have the advantages of being small, lightweight, able to secure more things than a regular padlock due to their length and flexible nature. I recommend a combination lock instead of a key lock. With four 10-digit dials, there are 10,000 possible combinations, which means it won't be easily cracked. There are also no tumblers accessible for picking like a traditional padlock. 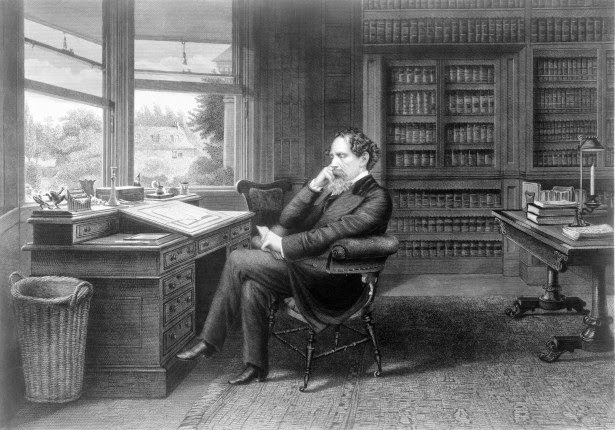 Furthermore, keys can be lost but a combination can be written down. If you are the forgetful type, I suggest you place a note with the combination inside a water-tight plastic bag alongside the lock. If you are worried you will forget the combination during a high-stress moment, use a Sharpie marker to write the combination on the wrist of your non-dominant hand so you can quickly access it. Best of all, if it's a programmable lock, you can give the combination to a friend (perhaps someone who needs to secure their bicycle?) and then change it later. Safety is your prime concern during an emergency, and there are few places safer than behind a locked door. It's refill time at the Good News Buffet! I'm in a Big Box home improvement store 5 days a week, so many of the posts are focused on deals or products I see in my wanderings up and down the aisles. Here is another! 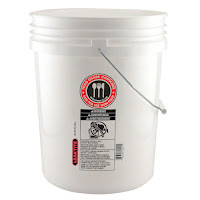 Yup, you read that correctly, I found food-grade 5 gallon pails in the Paint Dept. at Home Depot! The pails seem to be in stock in all the Home Depot stores in my area, but this might vary. With 2,200+ stores, I've seen products only be available regionally, so do some checking. 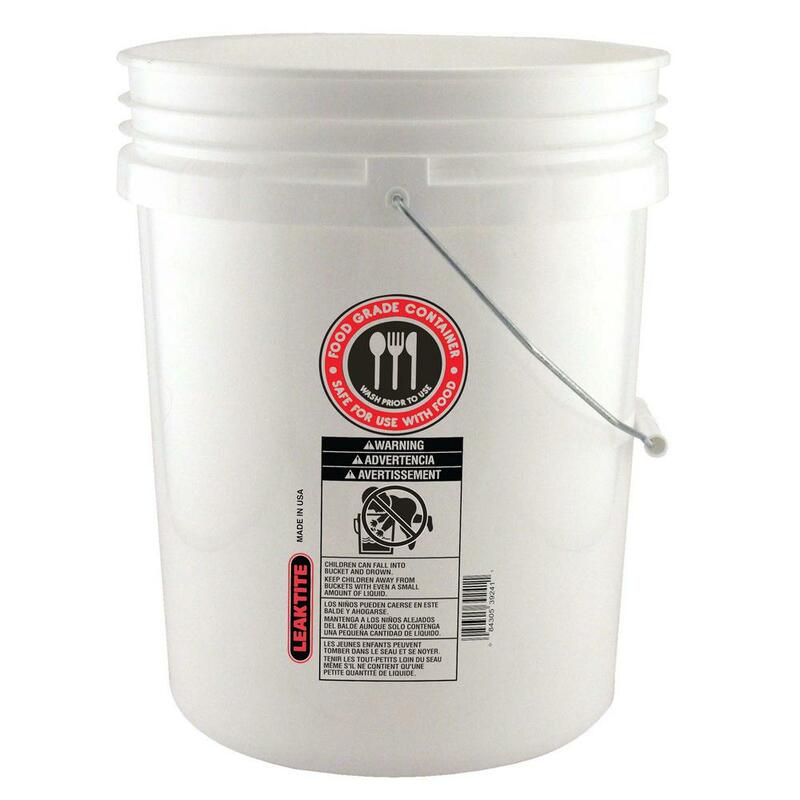 Why do you need food grade pails? Just think of the ways they can be used and not just for storing food. I expect to use several to carry water, both before and after filtering, and at least one will be set aside with the Sawyer Filter and spout adapter I wrote about here. I'm buying several more and encouraging my prepping group/friends to buy several and start setting aside dried goods in them. I don't have my own garage now, so the 30 gallon metal garbage can I used for non-perishable gear was passed on to a friend and the smaller items will now be stored in these buckets. Even if I use several for bulky gear storage, they're still Food Grade Pails! The only downside is I haven't been able to see if any of the lids in stock (there are several) are Food Grade. Here's my write-up of the steps involved to wake a pail ready to use as a base-camp water filter. I'm really happy with my various Sawyer filters and others have written about them here and here, with Chaplin Tim's post being a very thorough report on long-term use (and possibly abuse) of the filter system. Read up, compare and make a choice that fits your needs. 5 gallon food-grade pails can be found in the craziest places! I will keep looking for prepping gear wherever I go. Nothing was purchased this week, but these pails from Home Depot for $4.48 are a real bargain. 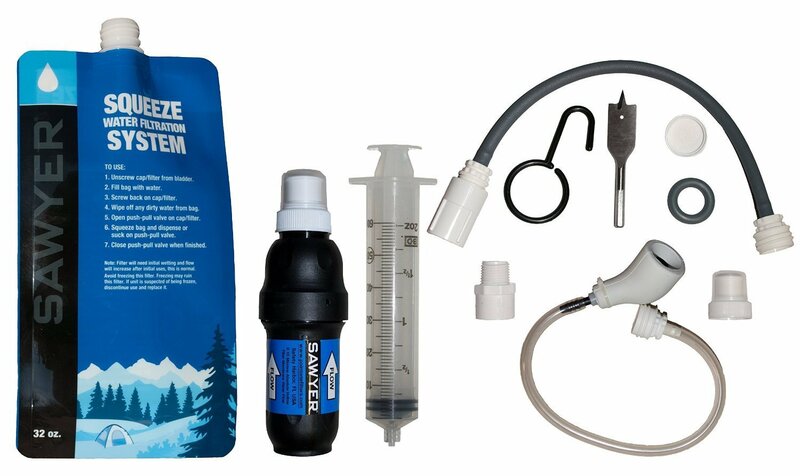 I still recommend Sawyer filters, with the SP181 as a good choice for a base camp $59.49 from Amazon with Prime. I originally had a completely different article in mind for today, but I had a small emergency on the way to work and school: I needed breakfast and I had no time to cook it before I went. Since my commute is a good hour to hour and a half depending on traffic, I knew it would have plenty of time to cook, so I grabbed some week-old leftover garlic bread and fixings, threw it in a foil package, and away I went. By the time I got to school, it was cooked, and it tasted excellent. Here's the important part: I cooked it in my car, specifically on the exhaust manifold. 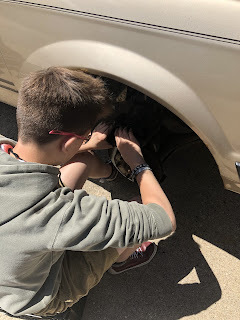 Two methods of cooking food in your car are popular: The “on the go” method of putting foil-wrapped food on your engine manifold, and the “stationary” method of using your car as an oven and baking with it. The foil wrap method is fairly simple: Take your food, wrap it in heavy-duty non-stick aluminum foil, and place it on your car's engine manifold. The food should be completely enclosed and not dripping anything from the package (if that happens, it tends to generate a burning smell), and it works best if the food selected still tastes good even if it's a little under- or over-cooked -- it can be very hard to determine the exact cooking time with an engine, and it takes some effort and practice to get it just right. When you put the package on the manifold, make sure that it will not slide around or catch in any moving parts! I have never had an issue with this, but I've been told that it makes an unreasonable mess. Thankfully, I haven't heard of anyone causing actual damage to their car from having potatoes fall out in the engine compartment. I have found that food cooked this way works best if it is cut into small pieces, has some kind of oil mixed into it, and is inside a package that can be laid across the manifold, giving the food maximum contact with it. I've also discovered that this method works best with food that isn't frozen when the trip starts, mainly because that generates a lot of liquid and you don't want your package to leave (see above). For a short trip like to and from work I prefer to cook things that just need heating, whereas road trips are opportunities for better-cooked meals. Some of my personal favorites are sandwiches with melted cheese, hot dogs, baked steak (or cheese steak), and MREs in foil packets. For those of you who live in a hot climate, you will be familiar with how hot your car gets in the summer -- it basically becomes one big solar oven, which is how this method cooks food. This method does not work well in most climates during the winter. In the summer, however, even in the far northern US, you can bake things in your car. This method works wonderfully to heat food that does not have to be baked precisely; it is very difficult to set your car to 350 degrees F for exactly 2 hours. In my experience, a cookie sheet with parchment paper on it works best. I leave the product that I am baking on my dashboard and make sure to park facing the sun. Once again, it takes some practice to get this exactly right. My personal favorite with this method is to bake cookies, but I've also made made soup, cake, and baked potatoes. That last one is difficult, but after a day of hiking in Arizona they were great. I am sure that with some experimentation you can find out what works for you. There are a lot of very tasty foods that you can cook with these methods, and it is surprising how many foods can be cooked in the field this way, even in “field expedient conditions”. Have some fun. Experiment. Don't lick the wires, but you can lick your fingers afterwards. 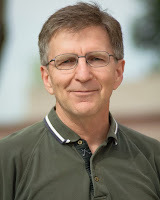 This week I had planned to give you a report on how well our mosquito yard spray worked. However, like many things in northern Michigan, the weather was not cooperating and we had low temperatures reach into the 40s every night this past week. Therefore we had no mosquitoes, but we did have some very nice campfire nights. So instead of a mosquito spray report, I'll tell you about how I taught my 14-year-old daughter to change the front brakes on my reasonably-priced everyday prepper vehicle. There's no more inexpensive way to prep for any future catastrophe than by teaching your children and following generations how to do things. It doesn’t cost anything except a little bit of time and patience, and the pride in your kids and the knowledge that you won't go it alone (which is very important in a single-parent household) is an immeasurable payoff. And it doesn’t have to be just your kids. I’ve had several neighbors inquire about raising their own chickens, and I’ve been able to give them some advice on what to look out for from my own experiences. This is The Discerning Shootist for Blue Collar Prepping. Be good, be safe, and if you can’t be safe, be good and dangerous. Because I am an adult in America, I have a cell phone. It's an older Samsung, but it's a smart phone which means I carry around a computer that can make phone calls. I use the computer functions much more than I do the phone functions, which means I have several apps installed on my phone. The ones that get the most use in the spring and summer are the weather apps. I live in the upper Midwest, so I have to deal with tornadoes and thunderstorms every year. Having a convenient way to track the weather in real time helps me make decisions that will minimize the risks I have to take. Like most apps, there is a free version that will have ads covering part of the screen as well as a “pro” version (this one is $2.99) that runs ad-free. I tried the free version for a year or so and ended up spending the money for the pro version to support the developers. MyRadar is a simple, clean radar app with plenty of optional settings for map styles, overlays, and information displayed. The map is interactive, which means you can drag the map around on your screen to see radar for any area as well as zoom in or out using two fingers. This is my go-to weather radar, since it loads much faster than the local news channels or other weather apps. This is good for local weather forecasts, with hourly and daily forecasts. It has radar, but it isn't as clear or easy to use as MyRadar. I don't mind the small ads on the bottom of the screen, so I haven't made the jump to the paid version. The forecasts are fairly accurate, about average for most weather forecasters. This is also the default source of weather information on my Samsung phone. Sometimes we all need a laugh, and WTForecast gives a simple daily forecast for the next 10 days with a witty saying. The witty comment changes every time you open the app, and it takes a while to cycle through all of the random comments pertaining to the current weather at your location. For example, it's currently 93°F outside with 60% humidity and the comment is, “It's like a terrarium outside”. The background picture changes with the season and I believe it also changes by location. The ads are small enough that I don't notice them. Be advised, there is a profanity option in the settings that will make most of the comments NSFW. I used to have this one installed on my desktop. It was nice having the outside temperature displayed on the task bar next to the clock. Then it was detected as spyware/adware by several PC security scans, so it got deleted (not a simple process back then) and I've not tried it since. The owners have since changed and claim that they've cleared out anything that may be harmful. I may give it another chance in the future. I used this app for years, then the Weather Channel “upgraded” it to StormTracker (and now StormRadar) and got rid of most of the features that I liked. When it became a copy of other apps I have, it was deleted. I do have the web version bookmarked on my browser so I can still look at a ten-day graph of various weather conditions (wind, temperature, air pressure, humidity, etc. ), but when they took that off of the app, it got deleted. The math geek in me likes to see graphs; I can gather information like how fast the temps are going to rise or fall or how long it's supposed to rain over which hours. Weather has a big impact on my life and is one of the main things I prep for. That makes having good information a vital part of my preps. Multiple sources of information will give you the opportunity to compare and contrast their accuracy and reliability, so grab several and keep the ones that give you the most usable information. Another semi-monthly posting of topics and ideas too small for me to make into a stand alone blog post! While this entire blog is an attempt to do prepping for as few dollars as possible, I'm talking about preparing a savings budget. Having a plan for savings is as important as your prepping plan. Even if it's just dumping your change into a bucket or skipping one coffee per week, the dollars will add up. I skipped one or two coffees per week to buy my first post-divorce present to myself. Every pundit and author of financial self-help books says something along the lines of "Having a goal is good, but unless you have plan to reach that goal, you're not going to make it." I have a small bottle of sanitizer in my work gear and more in my GHB. It's not only a way to keep clean, but also a backup fire-starting aid in case I ever use up all my Esbit cubes. When the factory mixture is gone, I re-fill the bottles with my own blend of unscented sanitizer and jojoba oil. There is just enough oil to keep my hands from drying out from the alcohol and without it, my hands get pretty chapped. I started using jojoba oil way back in 2015 and began adding it to my sanitizer sometime after that. I believe the sanitizer/oil mix is a good way to keep my hands clean and healthy. Have a Plan. Plan your plan, and don't be afraid to change it to get better results. With my small budget, multi-use items are a necessity. Jojoba Oil from Trader Joe's. Was $7.95 (in 2015) and I've still got half a bottle! A few years back, the competition rules for the service rifle were changed to allow a “maximum of 4.5 power with 35mm objective lens” optic on AR-15 type rifles. 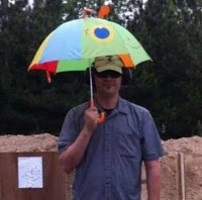 This was done mainly to make the sport more accessible to people who didn’t want to have to learn all the intricacies of iron sight shooting at distance, and to make it easier on older shooters who have eyes that just aren’t as good as they were when they were younger. Because of this change, I have been able to test a number of optics, and here is a review of the less expensive competition scopes for preppers. This is a non-illuminated budget scope manufactured for Bushnell by Su Optics of South Korea. At 1.5 power there is some obvious spherical distortion around the edge of the sight picture, but that really clears up at 4.5 power. The light gathering of this scope is very good, and while the elevation and windage adjustments are finger adjustable and have graduated lines, they are small and this scope was really meant to be a “set it and forget it” type hunting scope. 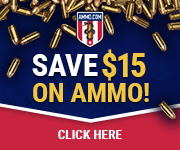 For around $90, this is a pretty good option for a .30-30 or an AR-pattern rifle. Turret adjustments are one-quarter MOA, and the “multi-X” reticle is easy to use to get centered on your target. This optic is made in the Philippines and has very clear glass, no noticeable spherical distortion at the edges, and a bullet drop compensator (BDC) reticle combined with uncapped tactical turrets. It is the most compact scope here, and for $140 you get excellent Nikon glass and adjustments. 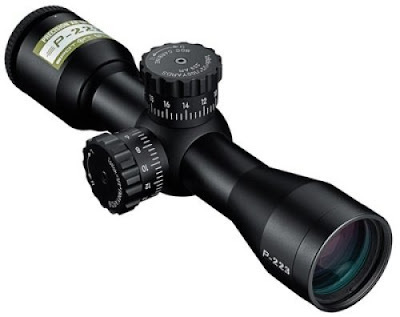 The downside is that you have no ability to drop it down to a lower magnification for rapid snap shots, but out of all the scopes in this review this is the best one for a dedicated long-range option, as you can use the BDC for quick shots or dial in each shot using the half-MOA turrets. This is the only scope reviewed here that has stadia lines to let you know which revolution your windage and elevation knobs are on, which is a really useful feature for long-range shooting. This scope would really be at home on a “ranch rifle” setup where snap shots at predators from the top of a quad could happen fairly regularly. This is a solid entry level “me too” optic by Vortex. The regular reticle version is a standard Duplex and works fine for hunting or competing in daylight hours, and is about 10 dollars cheaper than the illuminated version. The illuminated version is worth the extra money because if you should need to make quick snap shots in low light the red center dot on the reticle gives you that option, but if the illumination fails (the battery dies, for example) you still have a decent scope. Zeroing the scope is the same as any other, and you just need an hex key to adjust the knobs to zero. After multiple high-power matches, the adjustments have so far proved repeatable from my 200 yard zero out to 600 yards. Adjustment clicks are graduated in half MOA adjustments, although they a little “mushy” so I like to see where I stop the knob. For mounting these scopes I have used the Vortex Cantilever 30mm, a Burris P.E.P.R 30mm, and a CCOP 30mm and 1” version. The Vortex and Burris options are solid, but the CCOP is essentially a clone of the P.E.P.R and sells for $30 less. Only the Nikon P-223 3x32 is too small to fit inside the CCOP 1” mount, and needs a set of medium or high rings to attach it to the rail. There are many other scopes out there in this price range, and if I didn’t mention them it is only because I have no experience with them. 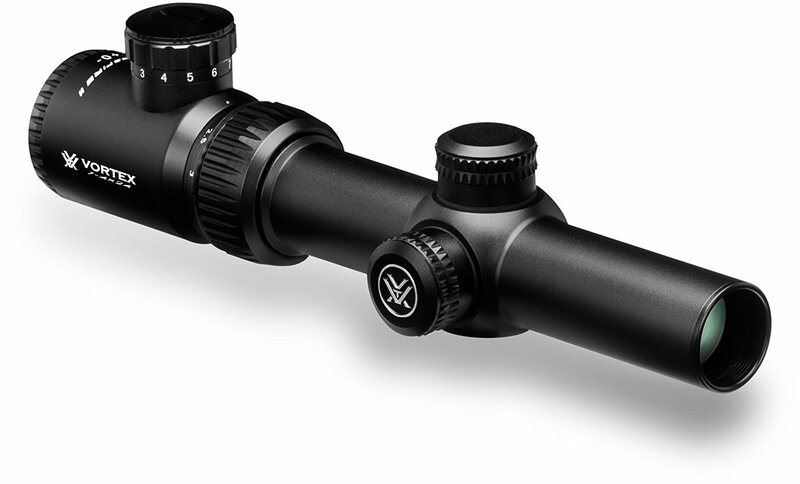 Having handled the scopes reviewed here, I can say that the Vortex illuminated gets the most use from me as it is the scope that sits on my primary competition rifle. What I like least about the Vortex is that the illumination control knob sits on the ocular bell which is less convenient to me than if it were placed opposite the windage knob, and also there is not an “off” selection between brightness options. But neither of these are dealbreakers for me, and so the Vortex continues to be my primary go-to scope. 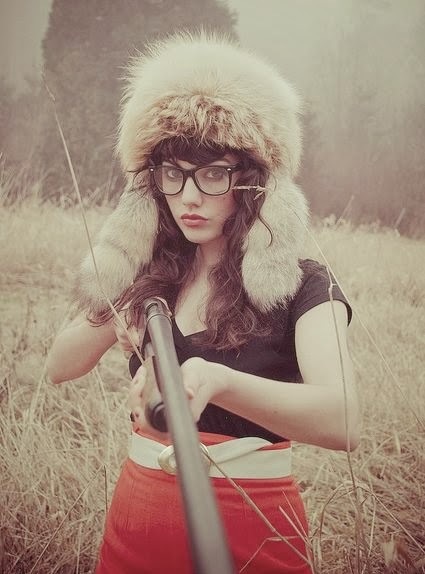 Many preppers talk about hunting after SHTF. I have heard countless discussions about caliber, availability of ammunition, capability of weapons, and so on. These discussions almost inevitably center around the taking of large game, as an elk or a deer can provide a lot of meat for someone. Small game is very common. In fact, most small game animals are considered pests. In Utah, there are a number of small game animals that do not require a permit of any sort to hunt or trap. You are almost guaranteed to find small game animals within city limits, even in big cities. Small game is likely to disappear last in a long term emergency. Everyone else will be busy hunting large game, leaving the small things for you. Small game makes a single meal, and if you don’t have refrigeration that makes a big difference. You may have to kill two or three animals to get a meal, but you don't have to spend time processing the rest of the meat so that it's preserved without refrigeration. You can hunt small game with smaller, cheaper weapons. A slingshot is much easier to acquire and keep in your preps than a full size hunting rifle, and the ammunition is cheaper and much easier to improvise. I don’t recommend a slingshot for hunting deer (even if it has been done), but it's fine for hunting quail. Airguns and bows that are sufficient to the task are much cheaper than ones up to hunting large game, and blowguns are a traditional method to hunt small game. Small game traps are much easier to keep. They are lighter, smaller, less expensive, and easier to improvise with wire or rope. Small game hunting is inexpensive. In Utah, the permit for small game is much less expensive than that for a deer tag. A combined small game/fishing licence along with an air rifle, ammunition and so on costs less than a single elk tag. This means that you can afford to practice. Pheasant is originally from Asia, but it now ranges over much of the world specifically from people introducing it as a game animal. Its taste is excellent, and it has provided food for centuries. It has lovely feathers that can also (and often have been) used for decoration. Potguts (also known as Uinta ground squirrels) and similar squirrels are a popular source of protein for small game hunters. Rabbits have no bag limit where I live and everywhere I have looked at the hunting laws for. They are also commonly considered a pest animal, and may not even require a permit to hunt. Pigeons (a domesticated form of doves) are possibly the most common animal in any major city, and they were originally bred as poultry. They are a common food in the middle east and there are countless recipes for them online. Raccoons are a pest across much of the US, and a staple of southern cooking in days gone by. My grandmother told stories of hunting and eating raccoons during the great depression, and how tasty they really are. You may want to be careful with any animals living in a city. Since they are surviving on garbage, the taste may be poor, and any of the mammals may have rabies, so look up the symptoms and signs of it to prevent infection. Be sure to look up your local laws and regulations before you start hunting small game -- you don’t want to violate the law! Good luck, be safe, and don’t forget to practice. Several of my shoes use Hickies-brand no-tie shoelaces, and I'm quite enamored of them. I know what you're probably thinking: "Erin, you've already told me that I should replace my shoelaces with paracord. Why are you now suggesting I replace the paracord with elastic bands?" They making getting through security screening a lot easier. I can put on or take off my shoes like they were loafers, but the elastic keeps them just snug on my feet as if I'd tied them. If you fly a lot, or otherwise need to take your shoes off on a regular basis, these save a lot of time and effort. They are great for people with physical or mental disabilities. 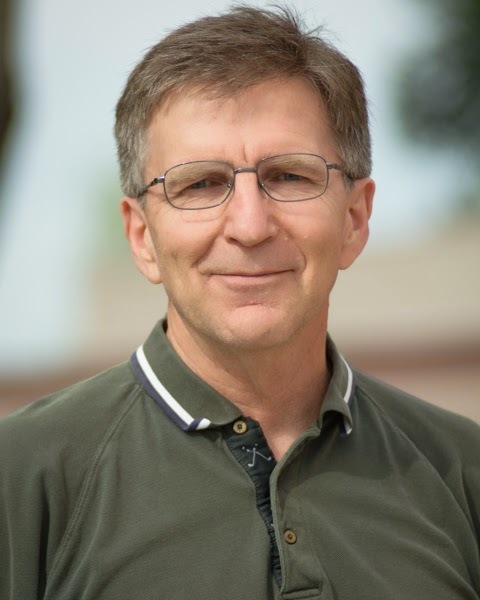 My father has Parkinson's Disease and can no longer remember how to tie a necktie; forgetting how to tie a shoelace can't be far behind. My mother has arthritis in her fingers and sometimes has difficulty with fine motor skills, and this will only get worse as she gets older. In both cases, the simple "pull it on and you're done" nature of the elastic will give both of them more independence. They speed up getting ready in an emergency. I have a pair of side-zip combat boots that I keep by the door as my "Something has gone wrong and I need to be outside NOW" shoes because they will handle any environment. However, despite zipping up the side, they still have shoelaces. The idea is that I fit the shoe to my foot, unzip the boot, and pull my foot out; when I'm ready to go, I just reverse the process. The problem is that my boots don't work like that -- I can get my foot out, sure, but I can't get it back in again unless I untied the boots then re-tied them once my foot was in. 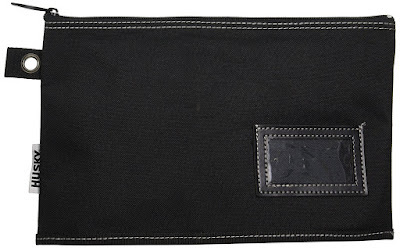 This completely eliminated any benefit to the side-zip! However, once I replaced the laces with Hickies, I was able to slip into my boots quickly and without issue. So while these are not specifically emergency preps, I find that they make my life easier on a day-to-day basis by helping me and members of my family speed through daily challenges. I've used mine for over a year now and I have no complaints regarding their performance. The worst thing I can say about them is that, being elasticized, the more you stretch them the more they will fatigue, so the laces at the very top of your shoe or boot are likely to wear out and snap. This isn't a problem, as a package of Hickies comes with spares and the laces themselves are easy to swap out. I'm told that the 2.0 version addresses this problem with increased durability, but I haven't yet tried them. Buy a package and see if you like them. You won't be putting them into your bug-out bag, but you just might find that they become part of your every day carry.